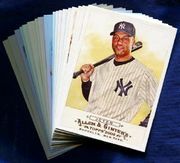 In this section you will find some interesting New York Yankees baseball cards that we are selling by the single card. 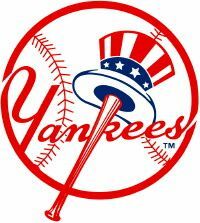 The New York Yankees are one of the most collected teams if not the most collected. Stars like Mickey Mantle, Babe Ruth, Derek Jeter, Don Mattingly and so many more that all the names can't be listed in the short space have have made a fan base so strong the Yankkes cards are hard for us to keep in stock. Since we can't have team sets of all years and brands please find New York Yankee singles in this section to add to your Yankees collection.